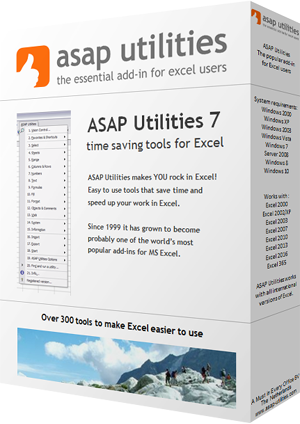 Start the English User Guide (PDF-document) of ASAP Utilities. In my opinion a good program should be easy to use without the use of documentation. During the last years the need for documentation has increased. In this document you will find detailed information about the installation, the use of the tools and a chapter where we show you how to solve frequently occurring problems (or challenges) with the help of ASAP Utilities.